Don't ask me why, but I never got around to taking very many photos at this meet. 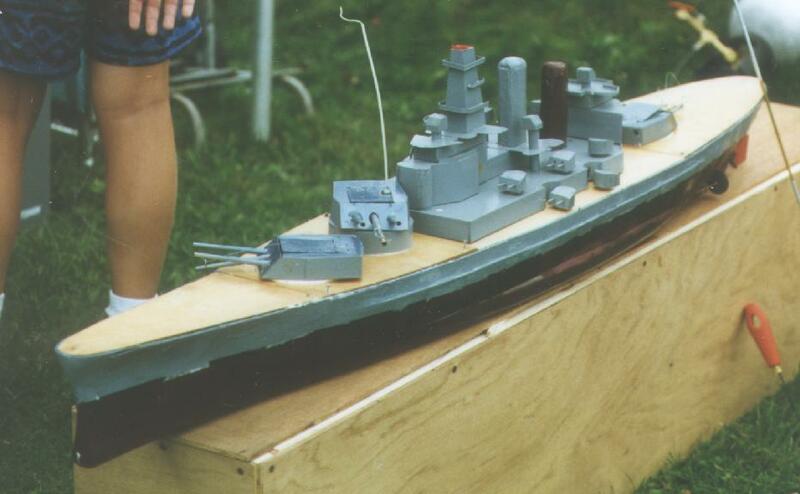 My South Dakota-class USS Massachusetts at the end of the NE Fall Regionals, badly in need of a refit. The balsa sheeting had lasted through NATS, a pick-up battle at Steve Pavlovsky's, and this regional competition. 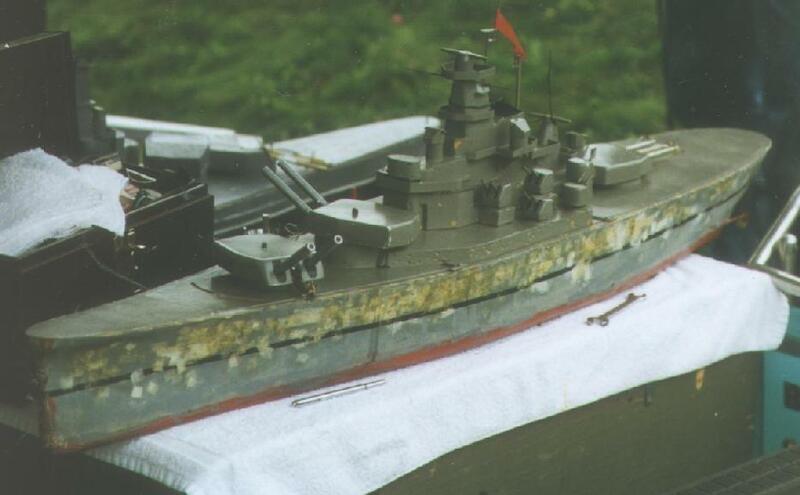 Another photo of the Massachusetts. Overall I was pleased with the performance of the boat, though I still think it should be given "24 second" speed like the North Carolina. Speaking of the North Carolina, here is one belonging to ??? ?.